In times of peril, even the smiths and craftsmen must rise up to fight evil alongside their armoured brethren. You can keep the dark forces at bay while also playing true to your trade when you go to battle with the Durik LARP Knife. This LARP weapon is made from highly durable latex-free, injection-molded polyurethane foam with a strong fiberglass core. This core makes the knife virtually indestructible while still ensuring its safe use in LARP, theater, staged events, and more. 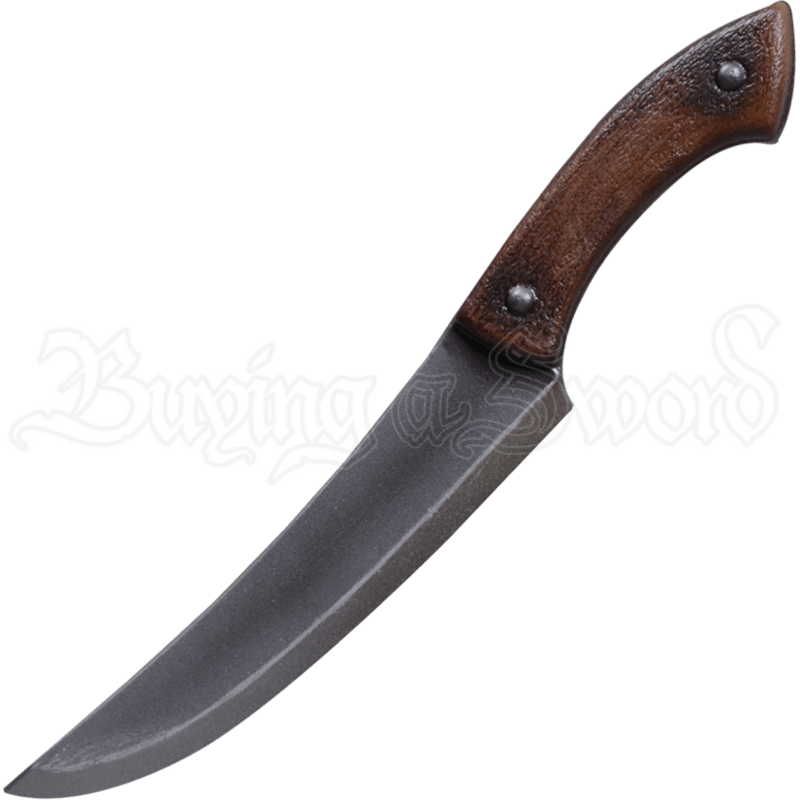 Its narrow, curved blade and dark brown handle make this weapon the perfect tool for blacksmiths, carpenters, or hunters who have answered their kingdoms desperate cries for help. Simple yet effective, the Durik LARP Knife is sure to bring a rugged yet artisanal flair to your LARP ensemble.